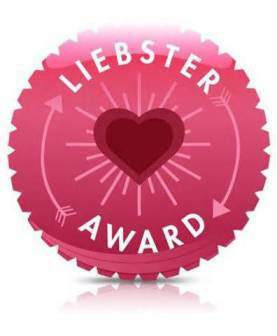 We interrupt our regularly scheduled programing for something a little different: the Liebster Award. I’ve been graciously nominated by Life, the Universe and Lani – a blog about an expat teacher’s life in Thailand. She’s easy-going, funny (so darn funny), smart and interesting. Please take a second to stop by her blog to be enlightened and entertained! 1. Each person who is nominated must post 11 things about themselves. 2. You must also answer the questions that the tagger set for you in addition to creating 11 questions for the people you nominate to answer. 4. Go to your nominees’ pages and tell them. 1. How do you decide what to write about? The premise of my blog is our big move from San Francisco to the Detroit area, and since I’m only five months in, I have a lot of material to work with. Everything is new for me still. 2. What inspired your blog name? That’s easy. My new town: Grosse Pointe. 3. What was the best present ever given to you? A motorcycle jacket. I had been dating my now husband for about 3-4 months. We sometimes went for rides on his motorcycle and one day he announces that I should have my own jacket. He took me to a store, where we settled on a feminine-cut bird’s egg blue jacket. That to me, was significant because it told me he was in it for the long haul, that he planned to take me on many more adventures. I don’t know how many girls can say they received a motorcycle jacket as a first gift. It’s pretty romantic. 4. Where is the most beautiful place you have ever been? I should say the Seychelle Islands, because it’s the most exotic (and expensive) place I’ve been. But if I really think about it, I’d have to say Tuscany. Italy has my heart as much as San Francisco does. And San Francisco is a close second to Tuscany, if not tied. Some of the most beautiful, awe-struck, there-is-a-God type moments I’ve experienced have been in these two cities. 5. What is the best job you’ve ever had? Serving as the director of contract administration at Papyrus. I loved working with artists and agencies and I loved all the copyright law stuff. I also loved being in downtown San Francisco and working in a loft-style open environment. Plus, it took me away from the worst job I ever had, which was working for a toy company, but I met some of my very favorite people there, so it served its purpose. -Scarlett @ Hello Scarlett Blog. Beautiful shots and sweet posts. A really lovely blog. -Ehren David Edralin @ Masculine Manhattan. Because who doesn’t love NYC street style, especially when it focuses on the gents? –Street Smarts for Suburban Moms. Like me, she moved from the city to suburbia. I like to read her take on things and she often poses issues that make me think about how I might handle similar situations. -Annie @ This Northern Belle. She’s super cute and here in Michigan. A fun, happy lifestyle blog. Thanks again, Lani! You rock hard. This entry was posted in Other and tagged Awards, Blogging, Liebster Award, Writing. Bookmark the permalink. <3. The toy company comment. Hee, hee. And now I’ve learned more about you. (rubs hands) Soon, I will know all your secrets, my pretty. Soon. Brrrr. Okay, I snapped out of that. Hey, thanks for the kind words. And motorbike jacket, huh? Cool. I can just picture it. I’m sure it looks pretty good, too. Thank you, Joan! Such nice words. And thanks for checking in. Very Best.